That protests are ‘cringe-worthy’ sells short what they truly reflect, says Mātauranga Māori curator Matariki Williams ahead of Waitangi Day. If some media personalities are to be believed, Waitangi Day is a day for New Zealanders to be embarrassed about. In the interest of wanting to end the cycle of that tired narrative, I’ll leave you to find those think pieces. Presenting February 6 in such a black and white way undermines what is, at so many sites throughout the country, an inclusive and communal experience. The richness that makes up this country is its communities and it is now more than ever that we need to celebrate the diversity that makes Aotearoa so beautiful. Okains Bay Māori and Colonial Museum Trust Waitangi day commemoration, 2015. Photo courtesy of the Ministry for Culture and Heritage. The future, and my relationship to it, has gained a peculiar feel of late not least of all due to the political uncertainty that abounds. Last week I wrote about a museum’s place in collecting around protest in relation to the Women’s Marches that took place in solidarity against the sexist, racist, and misogynist rhetoric that is typified by the administration of the current President of the United States. It is but a few short days later and the conviction with which I used to view my future as a global citizen is yet again eluding me with the recent ‘Muslim ban’. Once more, the duty of being a museum worker, one who has a platform to resist such damaging measures, is felt. One easy example of how Te Papa does this is in the Mixing Room exhibition, which focuses on the stories of over 70 young refugees and which my colleague, History Curator Stephanie Gibson, has written about. New Plymouth District Council Waitangi day commemoration, 2016. Photo courtesy of the Ministry for Culture and Heritage. Drawing the experiences of immigrants back to Te Tiriti o Waitangi, a recent article presented accounts from immigrants who wish to engage in Treaty commemorations at Waitangi thus enacting a central tenet of the Treaty: that it is a pathway that enables Tangata Whenua and Tangata Tiriti (people in Aotearoa by way of the Treaty) to live together in Aotearoa. It then appears that division is not the central Waitangi story and portraying it this way fails to show how inclusive Waitangi Day is by pushing the fallacy that it is either about Māori agitation or the absence thereof. 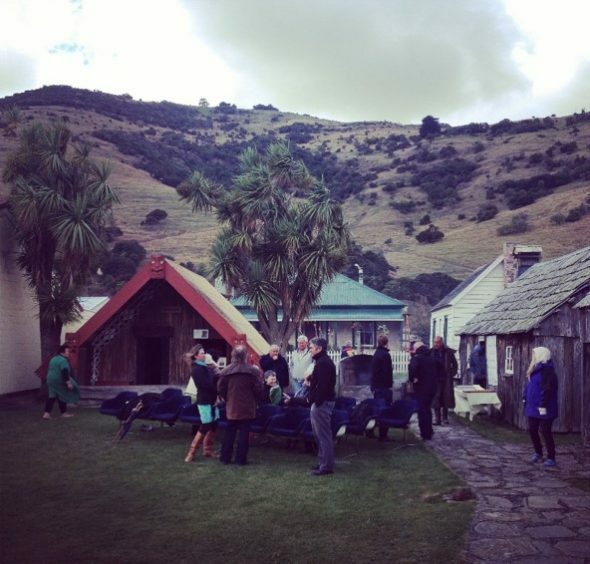 Te Manawa Museum Trust Waitangi day commemoration, 2016. Photo courtesy of the Ministry for Culture and Heritage. 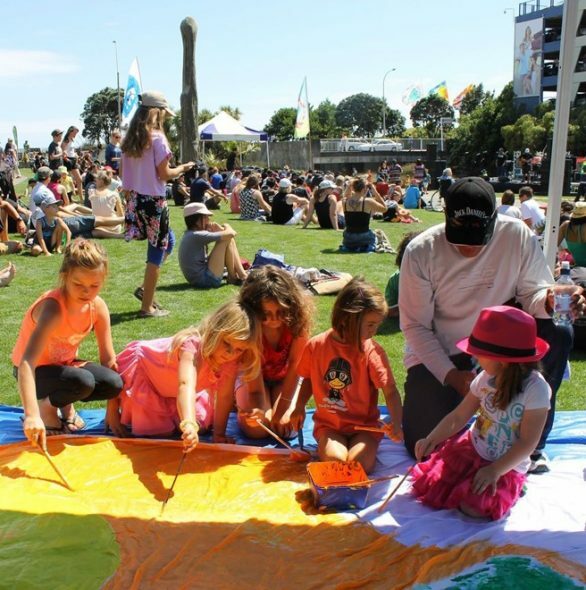 In the greater Wellington region, Waitangi Day is home to some wonderful festivals including Te Rā o Waitangi in Waitangi Park, the Festival of the Elements in Porirua and a day of celebration at Orongomai Marae in Upper Hutt. Each of these festivals have broad programmes that feature input from their constituent community groups. A few years back I had the pleasure of meeting people from the Porirua Community Arts Council to hear more about the Festival of the Elements, and was chuffed to hear the explanation about why ‘elements’ were chosen as the kaupapa of the festival. By keeping the themes broad it allows interpretation from each community and enables them to represent themselves however they see fit. 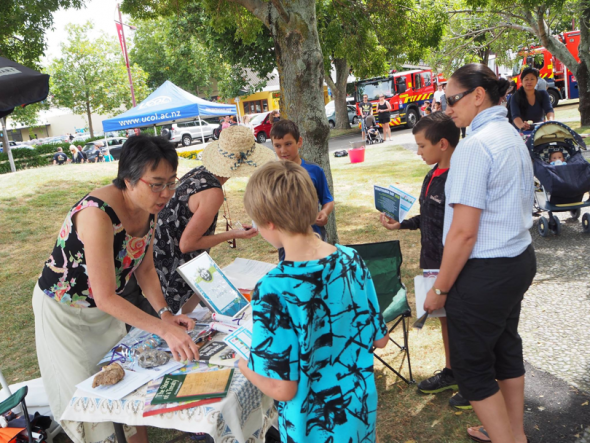 Ashburton Multi Cultural Trust Waitangi day commemoration, 2015. Photo courtesy of the Ministry for Culture and Heritage. On a nationwide scale, every year the Ministry for Culture and Heritage administers a contestable fund for events that “commemorate the signing of the Treaty of Waitangi, and promote nation and community building”. This year the fund, which totalled $288,000, was distributed to 40 events throughout the country from Waitangi to Invercargill to Rekohu. 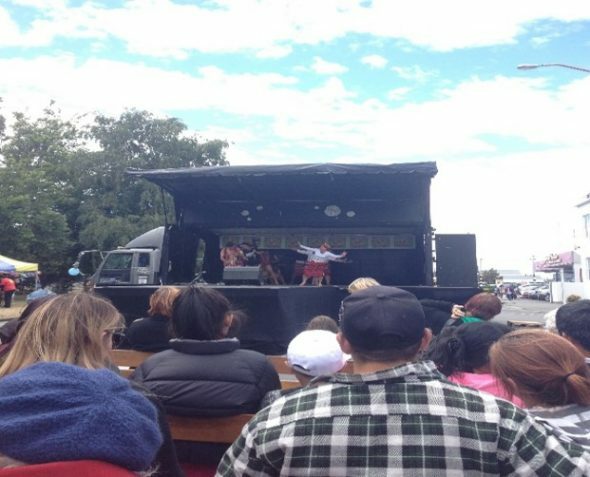 Even a cursory glance at these events shows the range of activities available for attendees to enjoy including: kapa haka, waka ama, multi-cultural kai, talks, and Māori puppet shows. The fund, and all of the events it contributes to, is a great example of how the Treaty of Waitangi empowers Tangata Whenua and Tangata Tiriti to make sense of our history and our future, together. In this era, where Waitangi ‘cringe’ narratives abound, I implore you to ignore that noise. Get out into your community and enjoy the day with good food, good entertainment and good people. Great to see the three flags flying outside Te Papa today! Could you tell us a bit more about each flag please? Thank you, Whanake class, Owhiro Bay School. The three flagpoles on Te Papa’s forecourt each flew a different flag on Waitangi Day. One was the flag selected in 1834 by northern chiefs at Waitangi. The national flag was needed to protect unregistered New Zealand-built ships and their cargoes from seizure by overseas customs authorities. The flag has a red Saint George’s cross on a white background with a smaller cross and four stars in the top left quarter. The design was approved by the British monarch and recognised by officialdom. The second flag was the flag that has been internationally recognised as the New Zealand flag since 1902. It has the Union Jack and the stars of the Southern Cross on a blue background.